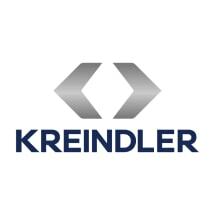 Kreindler & Kreindler LLP is a leading law firm representing plaintiffs from around the United States and the world. We have offices in New York, Massachusetts and California. Our practice includes airplane and helicopter accident cases, products liability, auto, train and other transportation accidents, medical malpractice, copyright and commercial litigation. The Kreindler firm authored and continues to update the leading treatise on aviation law; Aviation Accident Law, published by LexisNexis. The aviation attorneys at the Kreindler firm include numerous airplane and helicopter pilots, an aviation mechanic and an aeronautical engineer who use their aviation technical skills and their aviation law experience to advantage our clients. While we are well-known in the United States and throughout the world as the premiere aviation law firm, we have a diverse practice with attorneys in our New York, California and Massachusetts offices specializing in a variety of areas. Partners in our New York office authored and continue to update The New York Law of Torts, published by West Publishing, a three volume treatise that demonstrates the considerable experience of the firm in New York personal injury and New York wrongful death cases, which includes obtaining record personal injury and wrongful death verdicts and settlements. We are retained by victims nation-wide because of our expertise in all areas of transportation law, particularly maritime, bus and train cases. We have a major class-action practice, focusing on securities litigation, but running the gamut of all consumer rights cases. We have a growing practice in copyright litigation, representing photographers who have been victims of copyright infringement. The Kreindler firm is committed to aviation and consumer safety. Kreindler partners are heavily involved in legal and civic organizations. For example, a Kreindler partner in our Massachusetts office is President-Elect of the American Association of Justice, an organization dedicated to protecting consumer rights. Many Kreindler partners have had major leadership roles in legal professional groups that address aviation law issues. Two New York partners serve as Board Members of the New York State Trial Lawyers Association. A partner in our California office is a recent Past-President of the Los Angeles County Bar Association. This website provides only limited information regarding our firm. We are happy to respond to any inquiries seeking additional information and will evaluate any potential claim without any charge or commitment.